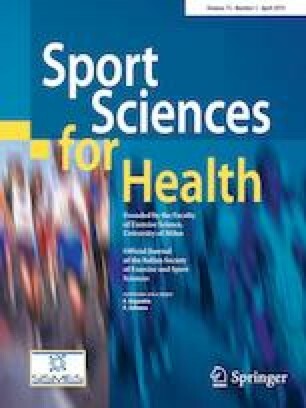 This study aimed to analyze technical and tactical parameters characterizing the women's water polo Olympic Games (Rio, Brazil, 2016) to discriminate winning and losing performance profile in general and according to close and unbalanced games with different margin of victory (i.e., ≤ or > of 3, 4, and 5 goals of difference between teams). Twenty-four games were analysed through the frequency of occurrence of the following technical and tactical indicators: goals scored (GS), goals scored and shots without goals inside (AsG, AsWG) and outside (5-mG, 5-mWG) the 5-m area, goals scored (5-mFG) and shots without goals (5-FWG) after a 5-m fouls, penalties scored (PS) and failed (PWG), turnovers (TO), assists (AS), blocked shots (BS), and counterattack goals (CG). Mann–Whitney U test was applied to compare the values of winning and losing teams for each indicator. Regardless of GS, no difference between teams emerged in close games. Conversely, for unbalanced games, differences between teams emerged for AS (p ≤ 0.001; effect size, ES ≥ 0.5) in each margin of victory, and for AsWG and 5-mWG (p ≤ 0.05; ES ≥ 0.3) in > 5 goals of margin of victory. The outcomes of women’s water polo Olympic close and unbalanced games are determined by not specific playing events, and few technical and tactical factors (such as AS), respectively. Therefore, top-level women’s water polo coaches and physical trainers can plan a sound training session according to specific game data reported for the Olympic Games contest. The study was approved by the Ethical Committee of the University of Torino (Turin, Italy; prot. 26,831) and performed in accordance with the Helsinki Declaration. No informed consent due to the nature of the study.